TippyTea Blends, a Certified B-Crop, produces loose leaf tea blends using local organic herbs and fruits grown by indigenous women from the Andean and Amazon region of Ecuador. Founded in 2013, TippyTea Blends sells their over 100 tea blends in 4 quaint tea rooms in Ecuador as well as through large retail stores, hotel, restaurants, café’s etc. With its eclectic and premium products, TippyTea Blends is looking to expand sales to the United States by penetrating a growing customer base that looks for taste, quality as well as health benefits of tea consumption. The Project Pyramid team traveled to Quito, Ecuador this Spring to meet with the ambitious CEO and Founder Guillermo Jarrin, as well as his dedicated team (including his wife who manages sales). While on the trip, they gained valuable insights about TippyTea Blends’ production and marketing and Ecuador’s thriving tea sector and entrepreneurial landscape. They got exposure to the public, private as well as development sector organizations that TippyTea is currently collaborating with or can leverage in future to create a reliable export value chain while growing in size and improving the supply chain. The team also enjoyed bonding with each other over exploration of Ecuador’s natural beauty, culture and cuisine. 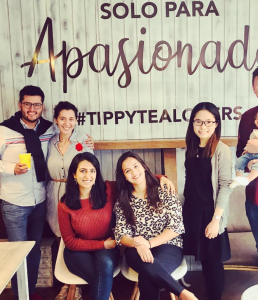 After returning to Nashville, they will develop marketing strategies and potential sales channels for TippyTea using the acumen gained from the trip as the foundation of their work. (TFC) Project Pyramid course traveled to Ecuador to partner with a local social enterprise called Waykana. Waykana’s social mission includes paying Amazonian farmers, who harvest tea leaves, wages above fair trade standards and practicing environmentally sustainable farming practices. 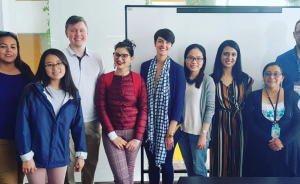 Hana Bacaj (1st-year GPED), Sara Brown (1st-year MBA), Geming Liu (1st-year LOP), and Matt Pringle (2nd-year MBA) formed an interdisciplinary team to help Waykana create a business plan to expand its branded products in the United States. The team started by meeting with Waykana members, including the CEO, Demetrio Santander, to better understand current business operations. Demetrio shared his personal entrepreneurship story, highlighting his passion for social impact as one of his largest motivators. Like many social entrepreneurs, he strives to find a balance between profit and social impact. Further, Waykana intends to expand its brand presence in the US by improving current operations, quantifying the social impact, and developing a marketing strategy. In addition to meeting with Waykana, the students met with several like-minded organizations, including ProEcuador, the United Nations’ economic development arm, Endeavor Ecuador, and IMPAQTO. 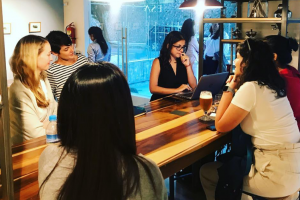 This variety of perspectives and experiences supplemented the team’s research and deepened not only the students’, but the TFC’s institutional understanding of Ecuadorian entrepreneurial scene. The Waykana student team, in addition to the valuable lessons learned, is ready to develop several critical deliverables to help Waykana continue to grow its portfolio of brands in the US.